Kathleen Schurman directly traces her connection with Spirit to her close rapport with animals. Her farm, Locket’s Meadow, is sanctuary to nearly 150 domestic and farm animals rescued from slaughter, abuse and neglect situations. As a child, she remembers understanding animals as fluently as she understood humans, possibly even more so. This connectedness also allows her to communicate with human and animal spirits, angels, elementals and spirit guides of every kind; she has no limitations. Kathleen’s abilities include physical healing in which she channels the energies of a group of Native American medicine women. Together, they provide relief for a myriad of conditions, and have had tremendous success working with clients who have chronic Lyme disease, MS, back and muscle pain, stomach ailments, side effects from cancer treatment and much more. During a healing session Kathleen is able to simultaneously provide hands-on physical healing while channeling information from the Other Side, which may include messages from friends, relatives, angels, and guides. 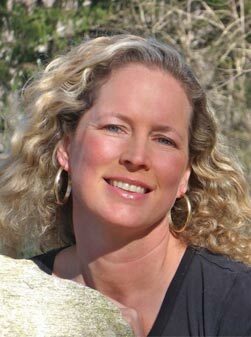 An author, Kathleen has an MS in journalism and has published several books about her rescued animals as well as a novella, Three Days in August. She runs workshops and retreats at her farm on topics ranging from vegan cooking (she once owned a vegetarian restaurant), opening oneself up to communicating with Spirit, and channeled healing. Kathleen also uses equine assisted learning techniques that combine traditional facilitation approaches with her ability to communicate with her therapy horses. Ozzie was rescued by the Schurmans at Lockets Meadow Farm in Connecticut. This video was made in his honor. Rest In Peace Ozzie. It has always been my belief that the right people show up in your life at the right time to teach or to move you towards your greater self. I consider myself lucky to have known and learned from so many wise and giving people and humbly acknowledge that I may have dished out a few lessons myself. Today I was reminded that love and teachers come in many forms. Because today, I had my first healing session with a horse named Captain. This gifted animal is a resident intuitive and one of the amazing healers at Locket’s Meadow Farm. He communicates quite directly with the owner of the farm and love of his life, Kathleen, but as I found out today language isn’t the only way he teaches. As we walked out to his paddock, the normally inquisitive and enthused Captain hung back as another horse, Sammy, ran full force towards us, skidding to a stop in our faces. He seemed excited and anxious to help with almost childlike enthusiasm. As I patted him, he seemed to be saying, “Pick me! Pick me!” Captain held back watching all of this rather calmly, which I started to take personally, fearing he didn’t want to work with me. My concerns faded as the scene unfolded with Sammy playfully challenging Kathleen as she tried to get past him and get Captain to wear the halter. I didn’t know it at the time, but his appearing indecisive and avoiding Kathleen, who he normally runs to the fence to greet, was his first message for me. I have always loved horses from afar. I could watch them for hours and the beauty of their movements leaves me speechless. Until recently though, I have been somewhat afraid of them and hesitant to do much more than admire them. Short of a saddled and experienced trail horse, I always kept my distance. My brother, who has a small horse farm in Mississippi, could tell you some very funny stories about me running and jumping over fences to get away from some of the spunkier fillies in the field. Somewhere along the way, my curiosity became more important than my fear and opportunities to engage with these beautiful creatures began to present themselves. A little over a year ago a friend took me to meet an incredible woman. Her name is Kathleen Schurman. She and her husband, David, own and operate an animal rescue farm in Bethany, CT. My friend knew I was struggling emotionally with heartbreak and the loss and confusion that ensued. I was lost in my own grief and suffering and could not seem to shake it. She thought being around the horses might help. That day, as I looked into the wise, kind and understanding eyes of one horse, and felt him literally take and lift some of the grief I was holding, I felt hope. Hope that I would somehow get through the pain and find myself again. That day was also my first healing session with the gifted and talented Kathleen. Kathleen is a medium and a mystic. Talking to animals and appreciating their healing and psychic powers is every-day business at the farm. She is an authentic and powerful healer in her own right but humbly accepts their advice and wisdom when it is offered or asked for. The farm animals, of which there are over 150, are not only grateful to have a home, but to be of service at any time. Some are just there to hold and spread the love, while others seem to have found their calling alongside Kathleen, as she teaches and offers healing to anyone with an open mind and an open heart. Since that first visit to the farm, I have worked with Kathleen in private sessions, attended wacky and wonderful healing circles, and learned some of her healing techniques, which she is thrilled to teach and share. Just being there brings me so much joy, and I have learned so much, but I have also faced quite a few crossroads and shed more than a few tears as I faced my own fears and regrets. Over time, I have grown to the point that it is now happily more about choices and direction than healing a broken heart and letting go. This brings me back to Captain, and my first therapy session with a horse. After Kathleen haltered Captain and squeezed him out of the gate where Sammy was still trying to get in on the action, I led him down to the barn to get my first lesson in grooming a horse. After he was gently and safely secured I was handed a currycomb and instructed how to loosen the dirt from his coat. Maybe this is work for those of you who are around horses every day, but for me it was heaven to be lovingly brushing this beautiful animal while he patiently stood there and soaked it all up. Kathleen and I each took a side, chatting about the significance of the time of year and how it relates to using your hands to heal others….but that’s another story. The next step was the indoor arena where I somewhat naively and hesitantly expected she might ask me to ride him. We walked Captain into the spacious indoor riding ring, empty except for the six white barrels placed down the center. Kathleen suggested we let him go and just watch him for a bit. Relieved, I sat down next to her to see what he would do. Kathleen turned to me to explain that he never leaves her side only to have him run to the other end of the ring to stand and stare out the window of a closed door. She smiled, reiterating that this was unusual behavior for him and asked me what I thought it meant. Without hesitation I regretfully said, “Oh, that’s me. He’s showing myself to me.” He then turned and walked to the corner, head down, looking defeated and sad. He literally put himself in the corner and stayed there. You see, this is exactly where I have been lately. Standing at a closed door, looking out, but scared to step out and step up. Instead, I tell myself to stay inside, protect your heart, stay safe. A fence of my own making. Tears of joy have a very different consistency from tears of grief. They feel like velvet caressing your cheeks instead of stinging, hot tracks of water. When that horse backed up and took off running, head up and tail high, I felt joy the likes of which I had forgotten existed. I made my way to the middle of the ring and spun circles just watching him through happy tears. Kathleen had made her way next to me and after a few minutes asked me what I would do if I wanted him to change direction. I simply shrugged and replied that I guess I would ask him to stop, and go the other way. With the mere mention of it, he slowed down, turned around and took off in the opposite direction, leaving me laughing and amazed. “Now how do you stop him,” she asked. Seeing I had no idea, she asked me what tools I had. I said “my arms” and she nodded. I walked out, hesitantly putting my hands up as he kept running. I heard Kathleen saying to be confident and not doubt myself, and Captain seemed to take pity on me and came to a stop, only to stand and stare at me again, expectantly. Again Kathleen asked me what else I wanted him to do. I replied that I would like for him to walk through the barrels. “Then take him,” she said. “How?” I asked. “Ask him to follow you,” she said. As I wove my way back and forth between the barrels, Captain began to follow me. Every time I doubted myself, he stopped and waited for me to be certain and to trust that he stay with me. After a few false starts and reminders from Kathleen to never doubt myself, I stopped turning around to look, and soon we were weaving back and forth easily with his head next to my shoulder letting me know he was there. I stood comfortably with my new teacher playfully nudging me in the stomach with his big, beautiful head while Kathleen sweetly summarized. To move on with my life all I need to do is ask, but first I need to know what I want. I promised myself in that moment that I would get to work on that right away. After all, how can the universe conspire to help you if you have no idea what to ask for? She suggested I take a couple of slow walks around the ring with Captain. As we walked side by side, I tearfully asked him about love, and why my willingness to love unconditionally and be in relationships keeps ending in emotional pain and loss. Again, he showed me the answer. Once you decide on a direction and move forward with confidence, someone will happily walk beside you in simple peace, love and companionship. Maybe, just maybe, I can hear him too.